This is a lovely image, such contentment it -- you can feel the contentment of the photographer as much as the subject. Ah -- faithful friends! 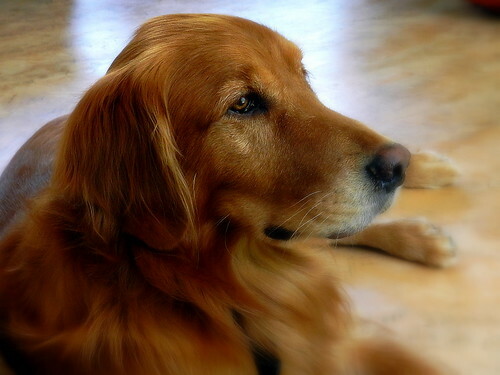 Lovely pooch portrait. So beautiful, Elk; both the dog and the photo.